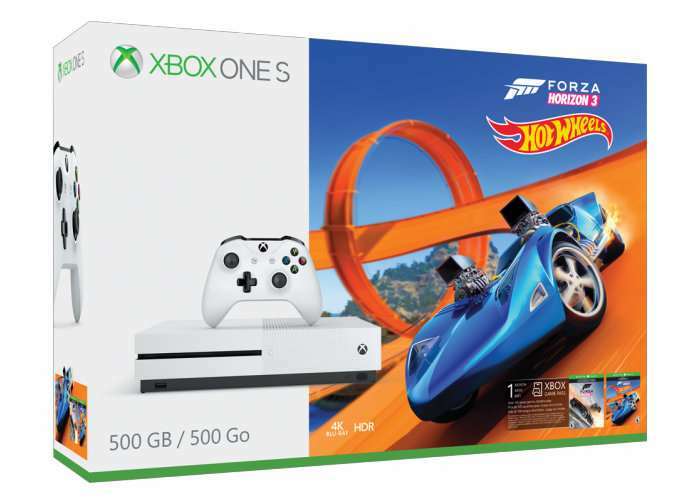 Microsoft has this week launched a new Xbox One S bundle which comes complete with Forza Horizon 3 Hot Wheels Bundle and a 500 GB hard drive for storage, priced at $279. The new Xbox One S bundle is now available to purchase from participating retailers including the Microsoft Online store. Also if you enjoy racing Forza Motorsport 7 is available to pre-order and and officially launches on September 29th for Ultimate Edition owners with Early Access, and October 3rd, 2017 for Deluxe and Standard Editions. Xbox One S continues to be the best value in games and entertainment and is the only console available today with High Dynamic Range for video and gaming, premium audio, a 4K Ultra HD Blu-ray player and 4K video streaming with partners like Netflix and Hulu.